On a recent trip to the East Africa I took with me an additional body and lens. For the body I decided on the Canon 7d Mark 2, a camera which get’s excellent reviews as a top performing wildlife camera which makes use of a crop sensor. The Lens – Tamron SP 150 – 600mm f/5-6.3 . This is a lens which I had heard great things about but I was skeptical of it due to the wide focal range. I chose these two pieces of additional gear for a few reasons. Firstly, they are both affordable, well, affordable when compared to some of the outrageous prices which one can expect to pay for top Canon or Nikon gear. This means they are in reach of most amateur photographic enthusiasts. At the end of the day, as wonderful as having the best gear is, I would rather have something, than always be waiting and saving for the big day when I may be able to drop $10k + on a prime f2.8 lens and in the mean time have limited gear. Secondly, both pieces of gear suited specific needs which I had for my trip. I wanted the high shooting frame rate o the 7d Mark 2 for the potential of seeing a hunting cheetah on the Serengeti and capturing some sharp high speed shots. The added zoom which the crop sensor would give me for all my lenses on the open plains of the Serengeti was also not unwelcome. 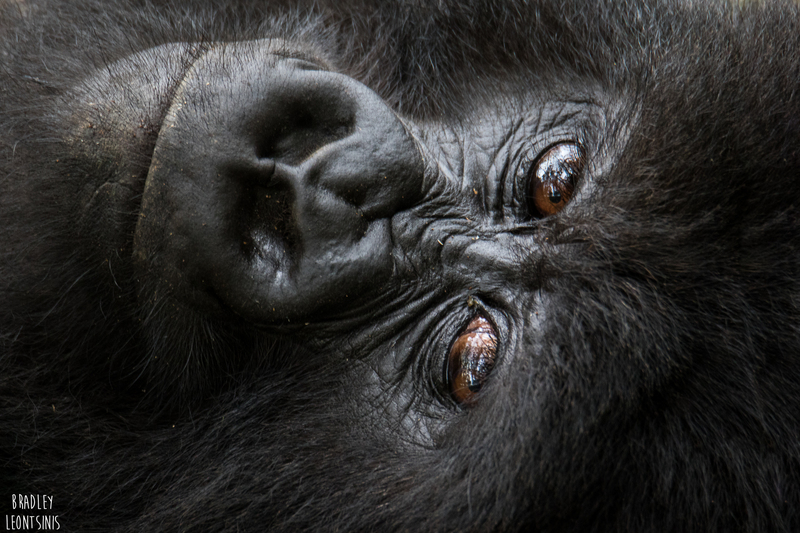 For the Tamron lens, I wanted the high powered zoom which could reach 600mm for intimate shots of Gorillas emotions and expressions as well as the extra distance it would afford me for quality shots across the open plains of the Serengeti. I knew I was going to be trekking to the Gorillas and would be on foot in the sightings with them so I also did not want an exceptionally heavy and bulky lens, and the Tamron is not bulky or over sized. I usually shoot with a full frame camera, a 5d Mark 3 which is the go to body in my bag. I must say I did notice the slight quality drop going from full frame back to a crop sensor camera. I found the dynamic range of the 5d to definitely be higher. This gives me more ability to play between highlights and low lights within a frame on the 5d. I also found that on play back the LCD screen of my 5d Mark 3 seems to display a higher quality image than that of the 7d mark 2. I knew that would be the case though as I am comparing a full frame vs crop sensor body and the full frame should in most cases win when it comes to crisp quality of images. Despite this I found the 7d mark 2 to perform very well and some of the best images I got from my trip came from this camera. 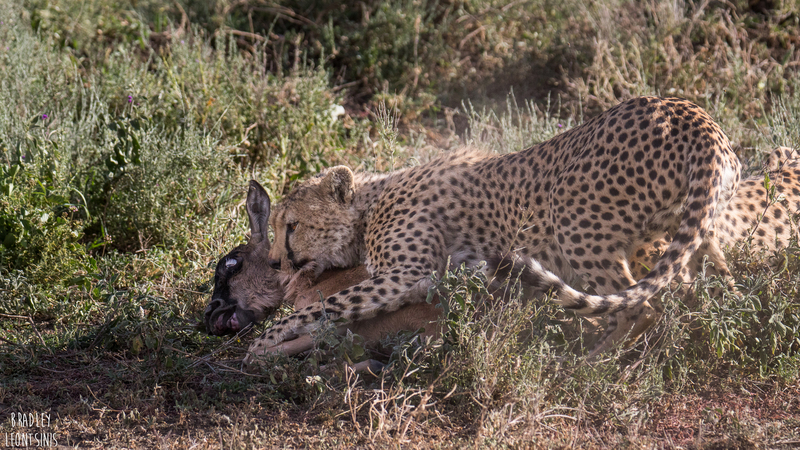 It also achieved with distinction, the main purpose which I chose this body for, the high frame rate allowed me to capture the image I had been after, a cheetah kill image. Now this was a very interesting piece of equipment for me. I was highly impressed by this lens and with a reasonable price tag of $1399 from B&H photo, I think it is very well valued. However you have to understand it’s limitations and put it in perspective of the price of a top Canon or Nikon 600mm prime lens f4L which is around $11,499. I felt the lens shot very good images at 600mm so long as the subject was not too far away. I.e. if the subject occupied a large part of my view finder, then I was very pleased with the images. But if it was a shot such as two cheetahs far away across a plain, the image un-cropped would be good quality but if I wanted to crop in closer the cheetahs would lose their crispness. Now this may seem counter intuitive to the purpose of a lens with a large maximum focal range however it was not the case for me once I understood it’s limitations. The purpose of the lens was to allow me to change my perspective with this piece of equipment for more intimate shots and it succeeded with that objective. It completely changed the ability I had with birding photography, I just don’t feel that focused birding photography is possible without a lens with a larger focal length. This allowed me to do that and achieve my objectives in that sense. On the Serengeti, it had the same positive impact on my images as it did with the Gorillas. It allowed me to create more intimate shots and beautiful portrait images. It also allowed me to be close in for the action with the Cheetah kill as seen above. One of the biggest benefits of this lens was the ease of use. It is not too large and bulky, considering what it can do. It can be hand held and with the use of basic stabilising gear like a monopod or bean bags on a vehicle. The lens does have an image stabiliser which is very effective and crucial on a lens like this. Even with this stabiliser, as with all lenses, making use of additional gear to stabilise is recommended and this lens makes it easy to do. So – it is an affordable lens, great for travelling and ease of use, completely changes what you are able to do with your images as compared with lenses with smaller focal ranges. The negatives are you have to be specific about your shots to be able to use it effectively. Certain types of images which are more achievable with more specialised lenses will be out of your reach with this lens. For me when you consider the cost versus benefit, it is clear the benefit out weighs any negatives. Below are some more images from the trip using this equipment. Enjoy and happy shooting until next time!